Acne can be a challenge to treat, especially when the problem is not surface-level and comes from deep within your pores. That’s why many topical treatments just don’t cut it! Laser acne therapy is unique in that it alters the structure of your skin by helping to shrink large facial pores across the nose, cheeks, chin and forehead that trap dirt and oils. In addition to reducing pore size and skin oil levels, laser light prevents breakouts by killing the bacteria that produce acne. Complexions that suffer from severe acne and/or acne scarring respond best to combined treatments of laser acne therapy and Intense Pulsed Light (IPL) therapy, which work together to prevent breakouts while diminishing discoloration. 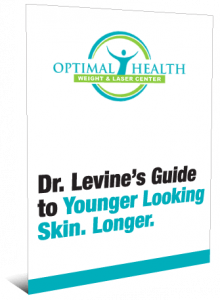 Whether you’re looking to control your blemishes, reduce brown spots, or get rid of pitted acne scars, Dr. Levine and her staff can customize a package that’s just right for you. 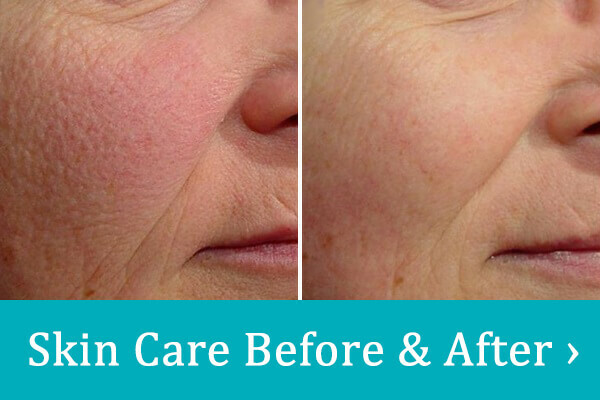 Our Laser Acne Treatment is non-ablative, meaning it does not affect the surface of the skin but instead penetrates deep into the dermis’ deepest layers to kill bacteria and dead skin cells, allowing new, healthier cells to rise to the surface of your skin over time. This minimizes any damage done by the extreme thermal temperatures and prevents scaring and skin damage. A treatment usually takes less than an hour to perform. No. In fact, some patients find it relaxing and therapeutic, much like a facial. On average, patients require 4-6 treatments to see maximum results but every patient’s needs vary. Results can take 3-9 weeks to appear after your first treatment because laser acne therapy targets cells deep in the middle layer of the skin. Once these cells start to come to the surface, breakouts will be less frequent and you will see improvements in texture and redness. Because this is a cumulative therapy, your specific condition will continue to improve more and more with each treatment. For most patients, irritation after a treatment is generally extremely minimal. Patients with sensitive skin may experience some more redness in treated areas, but this should disappear after a day or two. No. Most patients are immediately able to return to their daily activities.